Why Are Our Articles Free? We don’t paywall the articles we post here, we don’t pack advertising around them and we share them freely with OpenSource.com and others. Why do we do that? It’s because of support from our readers via Patreon. Patreon Patrons pledge to pay a small amount — as little as $1 — every time we publish a new article here. They keep control of how much they pay and how often, but their support means we can simply write and publish freely — without editorial interference or pandering to advertising keywords. We want to keep things this way. Please become a Patreon Patron! Visit Simon’s profile or just go straight to the sign-up page! I did not chip in ten grand to seed a first investment round to build value for a Facebook acquisition. Is Ubuntu Edge Worth the Money? To say that Canonical’s $32 million crowd funding effort on Indiegogo is ambitious is an understatement. If they reach their target it will blow previous crowd funding records out of the water and as it is they’ve already surpassed many of the sites previous funding records. The money is intended for the production of the “Ubuntu Edge”, an experimental phone running Ubuntu Linux as its operating system and with the capability of running as a full desktop computer when docked with an HDMI monitor. The smashing of records like “fastest project to raise $1m” reveals something of the projects popular backing, but Canonical still have a long way to go before they reach the target they’ve set. Nay-sayers would have us turn away from the project, insisting that the money should come from more traditional sources, like the mobile carriers. As Canonical founder Mark Shuttleworth explained in a short interview at OSCON last week, this view ignores one of Edge’s key guiding principles. The crowd funding of the project allows it to take big strides forward in innovation that conservative phone companies are currently unwilling to enter into due to the fact that the technologies are not yet proved to be popular. If the crowd funding succeeds, that in itself will be a massive validation of the technology and will help enable similar future technologies to break into the mobile market much sooner than they would have otherwise. 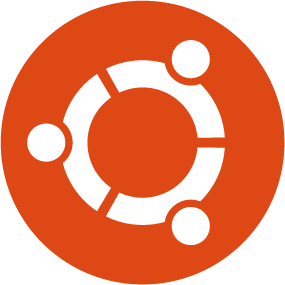 Ubuntu Edge is an exciting project, pushing the boundaries of technology and committed to putting open source software into the mainstream. Read Simon’s reasons for backing the project and more in this weeks InfoWorld article.